Né des braises non éteintes de l'occupation américaine en Irak, proliférant sur les décombres du conflit syrien, Daech contrôle désormais un territoire grand comme la moitié de la France, sur lequel vivent quelque dix millions d'habitants. Contrairement à son aîné al-Qaida, dont la stratégie était d'emblée de porter le fer contre le grand Satan américain et ses affidés, la priorité affirmée de Daech, depuis le mitan des années 2000, est de construire un Etat. Comment s'est-il structuré ? Comment est-il parvenu à s'émanciper de tout financement extérieur ? Quelles sont ses visées expansionnistes ? Born from the unexcited embers of the American occupation in Iraq, proliferating on the rubble of the Syrian conflict, Daesh then controls a territory as large as half of France, on which live some ten million inhabitants. Unlike his elder al-Qaeda, whose strategy was from the outset to carry the iron against the great American Satan and his followers, the priority of Daesh, since the mid-2000s, is to build a state. Has comment structured? Has comment managed to emancipate itself from any external financing? What are his expansionist desires? Nacido de los rescoldos de la ocupación estadounidense en Iraq, proliferando sobre los escombros del conflicto sirio, Daesh controla un territorio de la mitad de Francia, en el que viven unos diez millones de habitantes. A diferencia de su Al Qaeda mayor, cuya estrategia fue desde el principio llevar el hierro contra el gran Satanás estadounidense y sus seguidores, la prioridad de Daesh, desde mediados de la década de 2000, es construir un estado. Tiene comentario estructurado? ¿Ha logrado el comentario emanciparse de cualquier financiación externa? ¿Cuáles son sus deseos expansionistas? As ISIL's 'caliphate' crumbles, its ideology remains Analysts say the end of the self-proclaimed caliphate's territorial rule 'does not mean the end of ISIL'. The past year has witnessed a dramatic reversal of fortunes for the Islamic State of Iraq and the Levant group, which suffered a stunning series of defeats in its former strongholds.From Mosul to Hawija in Iraq, and from Raqqa to al-Bab in Syria, ISIL has been driven from key territory, leaving the group's expansive vision of a caliphate in tatters. To date, more than 98 percent of the areas it previously held have been retaken, and more than seven million Syrians and Iraqis have been freed from the group's control, according to the US-led coalition battling ISIL.Meanwhile, the ISIL fighters who evaded death or capture have "gone to ground" in rural areas between Iraq and Syria in an effort to regroup and replenish, experts note. "The Islamic State of today organisationally looks profoundly different to the Islamic State of just a few years ago ... No more does it control a contiguous territory, no more does it have control over urban centres, cities or towns," said Charlie Winter, a senior research fellow at the International Centre for the Study of Radicalisation and Political Violence at King's College London. "Instead, it appears to have gone to ground, returned to its covert insurgent roots. This means that it's more like an archipelago of all the territories that together still form what it considers to be the Islamic State, what it still considers to be a caliphate," Winter told Al Jazeera. "But it is no longer operating or able to operate in the same way that it was in 2014 or 2015 or 2016." In January 2014, ISIL, also known as ISIS, took Raqqa . At its peak, ISIL controlled a vast swath of territory that defied the Syria-Iraq border, maintaining key urban strongholds from Fallujah to Tikrit to Aleppo - gains that have all since been reversed. Last month, Iraqi Prime Minister Haider al-Abadi declared "the end of the war" against ISIL in his country, announcing that Iraqi forces had secured total control over the Syria-Iraq border. But while battles still remain to be fought in both countries, it is highly unlikely that the group could stage a comeback similar to its meteoric rise four years ago, analysts say. "That moment was a unique one in terms of the circumstances that gave rise to it: the chaos of the Syrian civil war, free access to the borders with Turkey, streams of foreign fighters coming in, etcetera," Aymenn Jawad Al-Tamimi, a research fellow at the Middle East Forum, told Al Jazeera. And while some of the conditions that facilitated the group's rise remain in place, ISIL's resources have been significantly depleted in the intervening years. Although the group has managed to maintain a governance project in certain areas, such as through its affiliate Jaysh Khalid bin al-Waleed in Deraa, the group primarily operates as an "insurgency" today, Tamimi noted. Of the estimated 40,000 ISIL fighters believed to be operating in Syria and Iraq at the group's peak in 2015, it is unclear how many remain alive or active, but Veale noted that 98 percent of the more than 100,000 square kilometres of territory the group once controlled has been recaptured. "As the result of our combined effort, the overwhelming majority of ISIS terrorists have been taken off the battlefield," he said. In the meantime, ISIL is continuing to disseminate propaganda - albeit on a more limited scale than in the past - in an effort to assert its continued existence, Winter said. On the group's Telegram channel, photos periodically emerge of fighters hanging out in caves, suggesting they are "biding their time" underground until the group is ready for a resurgence. "That's essentially what the organisation seems to have called for since the fall of Raqqa," Winter said. Also problematic is the issue of ISIL fighters who have fled Syria and Iraq and started returning home.Turkey, a transit point for many foreign fighters en route to join ISIL, could also be their path on the way out, putting the country at further risk.In the final days of the battle for Raqqa, it is unclear how many ISIL fighters were smuggled out through this route - and how many of those remained "committed to the cause", Tamimi said. Despite the threat of individual attacks, however, the prospect of a large-scale resurgence of foreign ISIL fighters in another country is unlikely, experts say. "Foreign fighters didn't just dry up because ... it got difficult to get into Syria from Turkey. They dried up because it became a less appealing thing to join," Winter said. "The Islamic State never had mass appeal, but the appeal that it did have was at its peak in 2014, 2015 and early 2016, when it did look like a successful organisation, when it did look like you could go to join it and not end up having to die in a suicide bomb or after a coalition air strike or something like that. That part of the Islamic State brand no longer exists." Instead, for the time being, ISIL has been encouraging its supporters to launch localised attacks in their home cities and provinces to keep up a global sense of momentum. "The inability to quell the Islamic State as an insurgency problem, even if it fails to regain formal control of territories it lost, [remains] a concern, as in Diyala, and likely the issue will become notable in Nineveh too," Tamimi said. Meanwhile, residents of the areas once controlled by ISIL have been struggling to rebuild their lives. Parents whose young children were trapped under ISIL's rule must grapple with the lingering effects of indoctrination or years of missed education. Experts say the full scale of the problem is unknown, as there has been no opportunity yet for an exhaustive assessment. "There might actually be a lost generation," Nadim Houry, the director of the terrorism and counterterrorism programme at Human Rights Watch, told Al Jazeera. From the trail of unexploded ordnance left by ISIL, to the razing of entire neighbourhoods in battle, to the lack of basic services such as water and electricity, to the stigmatisation of women who suffered sexual violence under ISIL's rule, families face myriad challenges in their quest to move on. "There is a real crisis today ... of sort of what is the broader strategy, the broader plan," Houry said, noting that many people "are just still trying to comprehend what happened". "There are a lot of energetic, well-intentioned people working locally [to rebuild]," he said. "I think what is missing, is there is a lack of international support and international vision for the day after ISIS. All the energy of the international coalition has been focused on the war effort, and a lot of resources were put into it, but actually very little resources, very little thought, were provided for the day after." L'EIIL pourrait-il faire un retour? 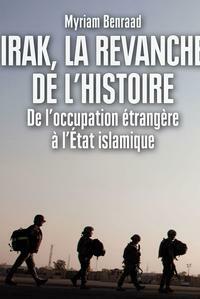 L'année écoulée a été marquée par un revirement spectaculaire de la situation de l'État islamique d'Iraq et du groupe du Levant, qui a subi une série de défaites dans ses anciens bastions. De Mossoul à Hawija en Irak, et de Raqqa à al-Bab en Syrie, l'EIIL a été chassé du territoire clé, laissant la vision expansive du groupe d'un califat en lambeaux. À ce jour, plus de 98% des zones précédemment occupées ont été reprises et plus de sept millions de Syriens et d'Irakiens ont été libérés du contrôle du groupe, selon la coalition menée par les Etats-Unis contre l'EIIL. Pendant ce temps, les combattants de l'EIIL qui ont échappé à la mort ou à la capture sont "partis à la terre" dans les zones rurales entre l'Irak et la Syrie dans un effort de regroupement et de reconstitution, notent les experts. "L'Etat Islamique d'aujourd'hui est profondément différent de l'Etat Islamique d'il y a quelques années ... Il ne contrôle plus un territoire contigu, il n'a pas plus de contrôle sur les centres urbains, les villes ou les villes", a déclaré Charlie Winter. , chercheur principal au Centre international pour l'étude de la radicalisation et de la violence politique au King's College de Londres. "Au lieu de cela, il semble être allé au sol, retourné à ses racines secrètes insurgées, ce qui signifie qu'il ressemble plus à un archipel de tous les territoires qui forment ensemble ce qu'il considère comme l'Etat islamique, ce qu'il considère encore comme un califat ", a déclaré Winter à Al Jazeera. "Mais il n'est plus opérationnel ou capable de fonctionner de la même manière qu'en 2014, 2015 ou 2016". En janvier 2014, l'EIIL, également connu sous le nom d'EIIL, a pris Raqqa comme capitale, tenant la ville jusqu'à ce que les forces syriennes la récupèrent l'année dernière. En juin 2014, l'EIIL avait également pris la deuxième ville irakienne, Mossoul, et l'avait tenue jusqu'à ce que les forces irakiennes reprennent séparément les moitiés est et ouest plus tôt en 2017. À son apogée, l'EIIL contrôlait une vaste bande de territoire défiant la frontière entre la Syrie et l'Irak, conservant les principaux bastions urbains de Falloujah à Tikrit à Alep - des gains qui ont tous été inversés depuis. Le mois dernier, le Premier ministre irakien Haider al-Abadi a déclaré "la fin de la guerre" contre l'EIIL dans son pays, annonçant que les forces irakiennes avaient assuré le contrôle total de la frontière entre la Syrie et l'Irak. Mais si les batailles restent encore à livrer dans les deux pays, il est hautement improbable que le groupe puisse faire un retour similaire à son ascension fulgurante il y a quatre ans, selon les analystes. "Ce moment était unique en ce qui concerne les circonstances qui ont provoqué cela: le chaos de la guerre civile syrienne, le libre accès aux frontières avec la Turquie, les flux de combattants étrangers qui arrivent, etc. ", Aymenn Jawad Al-Tamimi, un chercheur au Forum du Moyen-Orient, a déclaré à Al Jazeera. Et tandis que certaines des conditions qui ont facilité la montée du groupe restent en place, les ressources de l'EIIL ont été considérablement épuisées dans les années intermédiaires. MONTRE: ISIL est-il fini pour de bon? Bien que le groupe ait réussi à maintenir un projet de gouvernance dans certains domaines, comme par l'intermédiaire de son affilié Jaysh Khalid bin al-Waleed à Deraa, le groupe fonctionne principalement comme une «insurrection» aujourd'hui, a noté Tamimi. Conformément au paragraphe 13 de la résolution 1822 (2008) et aux résolutions connexes ultérieures, le Comité des sanctions contre l’EIIL (Daech) et Al-Qaida publie les résumés des motifs ayant présidé aux inscriptions de noms de personnes, groupes, entreprises et entités sur sa Liste. "C'est toujours une préoccupation majeure dans les zones frontalières où, malgré les revendications du gouvernement syrien et des forces démocratiques syriennes soutenues par les Etats-Unis, l'Etat islamique détient encore un territoire dans la province orientale de Deir Az Zor et opère relativement librement. dans les régions frontalières du désert avec l'Irak ", a-t-il dit. Selon le colonel Thomas Veale, porte-parole de la coalition internationale dirigée par les Etats-Unis et combattant l'EIIL, des opérations sont en cours pour chasser les combattants des régions où ils se trouvent, notamment dans les zones rurales de la province d'Anbar. "Les terroristes restants de l'EI sont coupés de leur leadership et de leur soutien logistique, ce n'est qu'une question de temps avant que le SDF et la coalition éradiquent ISIS de tous les secteurs de notre zone d'opération", a déclaré Veale à Al Jazeera. Sur les quelque 40 000 combattants de l'EIIL qui opéreraient en Syrie et en Irak à l'apogée du groupe en 2015, on ne sait pas combien sont encore vivants ou actifs, mais Veale a noté que 98% des 100 000 kilomètres carrés de territoire a été repris. "À la suite de nos efforts combinés, l'écrasante majorité des terroristes de l'EI ont été retirés du champ de bataille", a-t-il dit. Dans l'intervalle, l'EIIL continue de diffuser de la propagande - quoique à une échelle plus limitée que par le passé - dans le but d'affirmer son existence continue, a dit Winter. Sur la chaîne Telegram du groupe, des photos émergent périodiquement de combattants traîner dans des grottes, suggérant qu'ils «attendent leur heure» sous terre jusqu'à ce que le groupe soit prêt pour une résurgence. "C'est essentiellement ce que l'organisation semble avoir réclamé depuis la chute de Raqqa", a déclaré Winter. La question des combattants de l'EIIL qui ont fui la Syrie et l'Iraq et qui ont commencé à rentrer chez eux est également problématique.La Turquie, un point de transit pour de nombreux combattants étrangers en route vers l'EIIL, pourrait aussi être leur voie de sortie, mettant le pays en danger.Dans les derniers jours de la bataille de Raqqa, on ne sait pas combien de combattants de l'EIIL ont été passés clandestinement par cette route - et combien d'entre eux sont restés "engagés dans la cause", a dit Tamimi.Les combattants étrangers ne se sont pas simplement taris parce que ... il est devenu difficile d'entrer en Syrie depuis la Turquie. Ils se sont asséchés parce que cela devenait moins attrayant. Charlie Winter, chercheur principal au Centre international pour l'étude de la radicalisation et de la violence politique au King's College de Londres. Malgré la menace d'attaques individuelles, la perspective d'une résurgence à grande échelle des combattants étrangers de l'EIIL dans un autre pays est peu probable, estiment les experts. "Les combattants étrangers ne se sont pas simplement asséchés parce que ... il est devenu difficile d'entrer en Syrie depuis la Turquie, ils se sont asséchés parce que cela devenait moins attrayant de se joindre à eux", a déclaré Winter. "L'Etat islamique n'a jamais eu l'attrait de masse, mais l'appel qu'il a eu était à son apogée en 2014, 2015 et début 2016, quand il a ressemblé à une organisation réussie, quand il a semblé que vous pourriez aller le rejoindre et non finir par devoir mourir dans une bombe suicidaire ou après une frappe aérienne de la coalition ou quelque chose comme ça ... Cette partie de la marque de l'Etat islamique n'existe plus. " Au lieu de cela, pour l'instant, l'EIIL a encouragé ses partisans à lancer des attaques localisées dans leurs villes et provinces d'origine pour maintenir une dynamique mondiale. "L'incapacité de réprimer l'Etat islamique en tant que problème insurrectionnel, même s'il ne parvient pas à reprendre le contrôle officiel des territoires qu'il a perdus, reste une préoccupation, comme à Diyala, et la question deviendra probablement aussi importante à Ninive", a déclaré Tamimi. .
Pendant ce temps, les habitants des zones autrefois contrôlées par l'EIIL se battent pour reconstruire leur vie. Les parents dont les jeunes enfants ont été pris au piège de la loi de l'EIIL doivent s'attaquer aux effets persistants de l'endoctrinement ou des années d'éducation manquée. Les experts disent que l'ampleur du problème est inconnue, car il n'y a pas encore eu d'opportunité pour une évaluation exhaustive. "Il pourrait y avoir une génération perdue", a déclaré à Al Jazeera Nadim Houry, le directeur du programme de terrorisme et de contre-terrorisme de Human Rights Watch. De la traînée d'engins non explosés laissée par l'EIIL au démantèlement de quartiers entiers au combat, au manque de services de base tels que l'eau et l'électricité, à la stigmatisation des femmes victimes de violences sexuelles sous la gouverne de l'EIIL. quête pour aller de l'avant. "Il y a une vraie crise aujourd'hui ... d'une sorte de stratégie plus large, le plan plus large", a déclaré Houry, notant que beaucoup de gens "essayent toujours de comprendre ce qui s'est passé". "Il y a beaucoup de gens énergiques et bien intentionnés qui travaillent localement [pour reconstruire]", a-t-il dit. "Je pense que ce qui manque, c'est qu'il y a un manque de soutien international et de vision internationale pour le jour après ISIS." Toute l'énergie de la coalition internationale a été concentrée sur l'effort de guerre, et beaucoup de ressources ont été En fait, très peu de ressources, très peu de réflexion, ont été fournies pour le lendemain. "